Pros and Cons of each last man standing game and why everyone is talking about it. If you are gamer, you are acutely aware of the ongoing battle in the realm, and that is the Battle Royale. Due to the rapidly growing popularity of Fortnite that is held in high favor by rappers, celebrities, and gamers alike, PUBG, the forerunner of Battle Royale, positively has to be mentioned in the same conversation. Both games are holding there own in this last man standing battle. However, what do the people love about them, and what are we raging about as well? Accuracy- If you are really into accurate firearm gameplay this is your game. Do not think you can just run around with a sawed-off shotgun and be fine because if you come across anyone with an AKM (which is everybody), you're screwed. Also, make sure you pick the correct ammo for the guns you have, this is not the type of game where you pick up an "ammo" package and then magically your clip is full. This makes the game a bit more challenging but worth it. For most people, this could be a con, but I appreciated this aspect of the game. Vehicles- May the Gaming Gods be praised that you can drive vehicles in this game. As long as you find one that works you're golden. Different vehicles have different speeds, durability levels, and fuel efficiency just to spice it up. Not to mention this helps when it comes to the dreaded red zones...but we'll get to that. Customization- Customizing your character, in the beginning, is pretty decent, Unique hairstyles, facial structures, and skin tones. However, what is pretty cool is that you customize your character in-game as well. Picking up better clothes and armor is part of the overall fun of the game. You can also customize your guns with foregrips, extended mags, and scopes that you find lying around. Maps- The maps are huge. Just pray you do not land on the wrong side of the map, and if you do, you better find a vehicle. Not having a vehicle means you have to run the entire time -- which is not an option if you have to find cover because you happen to suddenly be in a red zone. Glitches- Between the buildings that haven't entirely buffered yet when you land or getting your car stuck between two big rocks, PUBG is infamous for their glitches. Although it has gotten better since the games' first release, being lagged out of the game or the screen just freezing altogether is still a constant thing. Red Zones- Nothing is more frustrating then when you are casually taking out another player, minding your own business and BAM your dead. The red zones are randomized air strikes that take out anyone that is not taking cover at the time they appear. Many players have expressed their hatred of this particular aspect of the game, and are demanding that Bluehole does away with it. But alas, as of now, the red zones are here to stay and will continue to be the death to kill the streaks everywhere. Thanks, Bluehole. Graphics- Although very cartoon-like, the aesthetics of Fortnite is visually pleasing. The bright colors, different towns and buildings, the random llama, crab, and fox sculptures all add to the excitement of this search and destroy gameplay, and adds an air of irony as you snipe an unsuspecting player to oblivion. Not to mention all the other incredibly tall forts you will run into, made by your enemies. Strategy- Speaking of those tall forts, how do you plan to combat that? 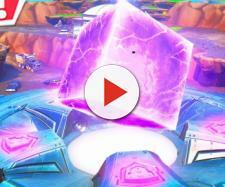 Epic Games created a fresh layer of battle royale that makes the game more strategic, dropped out of a flying bus with only a pickaxe you must harvest materials with it to build your own DEATH FORT. The map is smaller so you WILL run into multiple players along the way, so harvesting is a must. You can also pick up traps, campfires, and launch pads to accessorize your fort, boost your health, or have a quick getaway. This aspect of the game makes the map's obstacles change every time you play. Storm Zone- Just like any other battle royale, the map gets smaller and smaller as time passes. This is caused by the ever-moving storm in Fortnite, and if you get caught in it your health will gradually diminish. Though, many players find this unforgiving it could be considered a pro and here is why. The timer at the top right corner of your screen gives you two countdowns, first is the countdown of when the storm starts moving. The second countdown is how much time you have until the storm has reached the outer perimeter of the active gaming zone. This gives the player way more to time to get to the restricted zone, and even if you get caught inside the storm, you STILL have time to run into the zone before your health is completely gone. WIth the playing longevity, the final rounds are more interesting and intense with 10- 15 players in a smaller space, rather than three that cannot find each other. Weapons- First the weapon inventory is limited, and there is no customizing them as well, you pick up what you pick up. The different color and stars of each weapon you pick up rates the amount of damage it makes. However, that is not necessarily the case in gameplay. Shotguns and snipers will take out a player in seconds, while other weapons will not have the same effect. Customization- As said previously you cannot customize weapons in Fortnite, and customizing your character is very limited. When you first start playing, each round you get a randomized avatar -- that's about it. 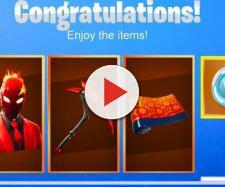 You will gain XP, but unless you're willing to pay for the battle pass or a skin, you will be running around with random characters every time. Map- Because the map is smaller it is more competitive. There will be several times where you land, and you are immediately killed by an opponent that got there first. This is the reality of a smaller map, so landing in a town with a bunch of loot is at your discretion. If you get out alive, you will have some of the best weapons, but know you will have a fight on your hands. Landing in a less populated area does mean fewer opponents. However, it does mean less loot and weapons. Therefore you must find shelters that might happen to have weapons or be a sitting duck out in the open. Regardless of the flaws, PubG and Fortnite are games that are worth your time. Both bring a unique take on the Battle Royale gaming experience and are a complete blast to play. Each deserves their spot in the gaming worlds have-to-pay list, and if you have not played them yet, you definitely should take the time too.